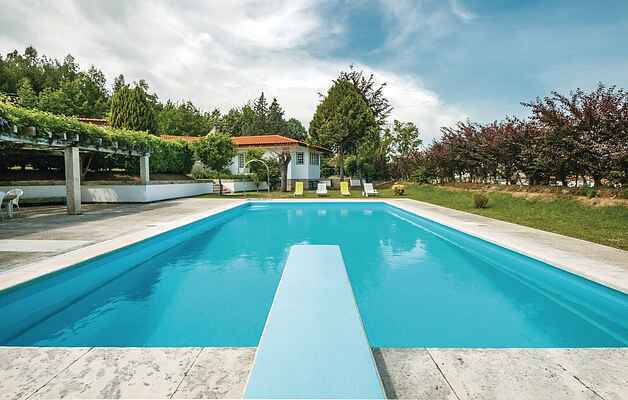 With a plot of two hectares, the spectacular Quinta da Formiga holiday villa has plenty of room to relax and the large private pool offers a welcoming refreshment after a match on the private tennis court. You will not miss anything! On 650 square meters of living space are distributed 5 suites with direct access to the terrace overlooking the garden and pool, a spacious living room, a well equipped kitchen, a library with a fireplace and a recreation room with a billiard table and a bar. Info: The use of the finish sauna is possible with a surcharge!